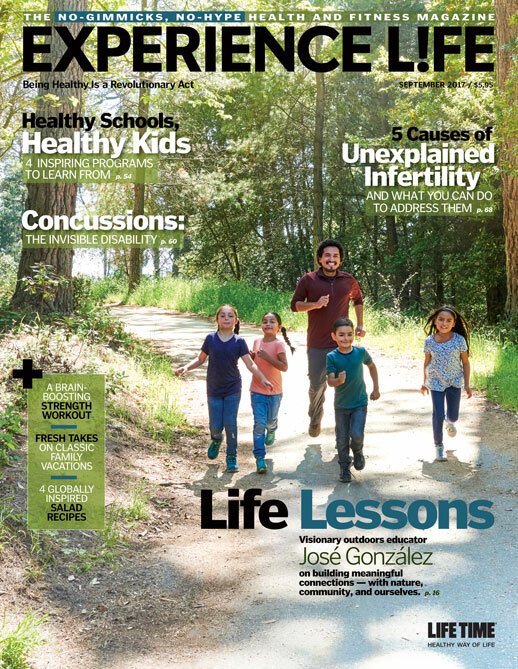 Experience Life magazine ran a full-length feature on concussions in the Sept/Oct issue which is on news stands now! 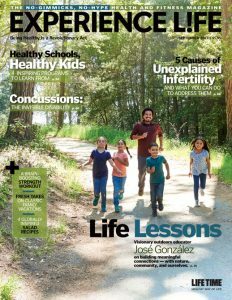 This magazine is produced by Lifetime Fitness and reaches 750,000 paid subscribers plus 2.3 membership subscriptions delivered to their mailboxes every other month! Read the PDF online HERE. I was asked back in January if I would be willing to share my story with their circulation of almost 3 million print readers, and I was thrilled at the opportunity to help create more awareness around the topic that is near and dear to my heart (and head)! The spread turned out absolutely amazing, and you can read the full article HERE in PDF form. They did a great job tying my experience in along with how Dr. Jeremy Schmoe from Minnesota Functional Neurology DC helped me in my recovery after 2.5 years of dealing with doctors who were dismissive and just didn’t understand concussion/TBI. We also shared the spread with the greatness of Dr. Bennet Omalu, which is a true honor! As well as a shout-out to LoveYourBrain yoga! A huge thank you to Michael Dregni for his talented writing skills and the most enjoyable interview at a local coffee shop in Saint Paul. I appreciate the opportunity to share my story and continue to raise awareness of this invisible injury that affects 2.8 million Americans each year, and is the leading cause of death and disability in the World. The more outlets we have to share our story, the more people we will reach. If even just 10% of the subscribers read this piece — that would truly be some serious advocacy at work! Amy: Excellent work, nice piece. After all this time, I had no idea you have not been treated with Hyperbaric Oxygen Therapy. i searched in vain for mention of HBOT in the otherwise good article. I’d like to talk with you, again, about our work and the stunning successes we’re having worldwide. Please review the seb site, these Press Releases and the videos. I think we can help.